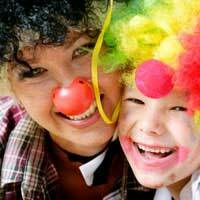 Many organisations offer one-day workshops for various levels that introduce children to the world of circus skills, or encourage their advanced learning. This might be a good idea if your children have never participated in any type of circus skills before, to see if it's the right activity for them. While many children love tumbling, they might balk in a more regimented setting. So don't pay for a term's worth of courses unless you know they really are ready to take part. Other organisations offer ongoing classes throughout the summer – and the year – for kids who want to take their circus skills more seriously. While there are classes that cover everything, many concentrate on one specific area only. One attraction of circus skills courses for many parents is that they are non-competitive, and allow children to develop at their own pace and receive recognition for their individual achievements. They help develop both sides of the brain, and are suitable for children of any ability, being fun and rewarding for disabled as well as able-bodied children. What your children will learn at a circus skills workshop depends partly on them, and partly on the organisation. Look around to see what's on offer and what types of activities interest your child most. Maybe they want to swing from a trapeze, or maybe their interests lie in other types of acrobatics involving unicycles and trampolines. Whatever takes their fancy, there is something for everyone out there.